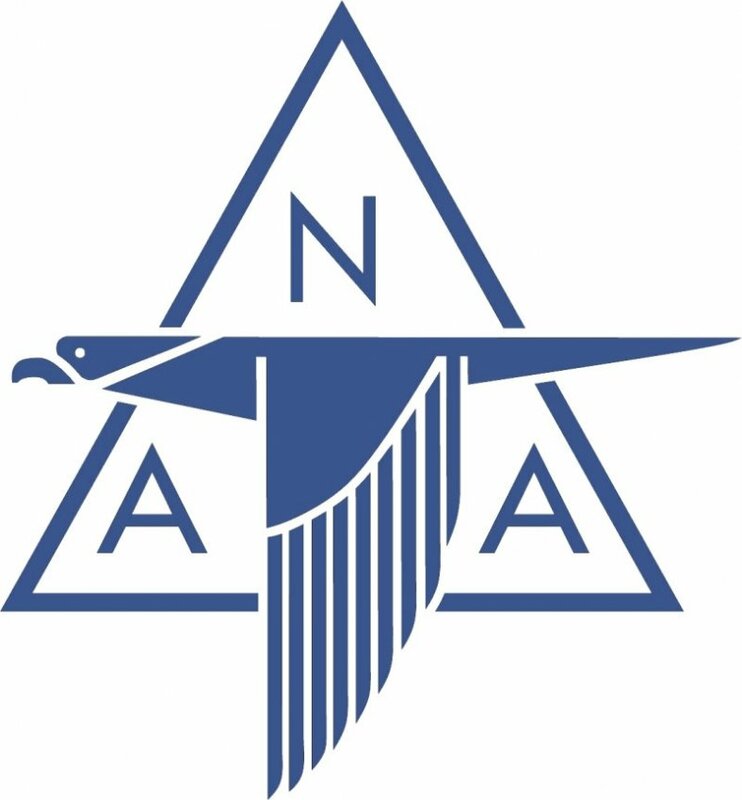 1 October 1947: After three years development in which 801,386 engineering hours and 340,594 drafting hours had been expended, the first prototype North American Aviation XP-86 (company designation NA-140), serial number 45-59597, was ready for its first flight at Muroc Dry Lake in the high desert, north of Los Angeles, California. Completed at North American’s Inglewood plant on 8 August 1947, it was trucked to Muroc in mid-September. It was reassembled, everything was checked out, and after a few taxi tests, company test pilot George S. Welch took off for a initial familiarization flight. 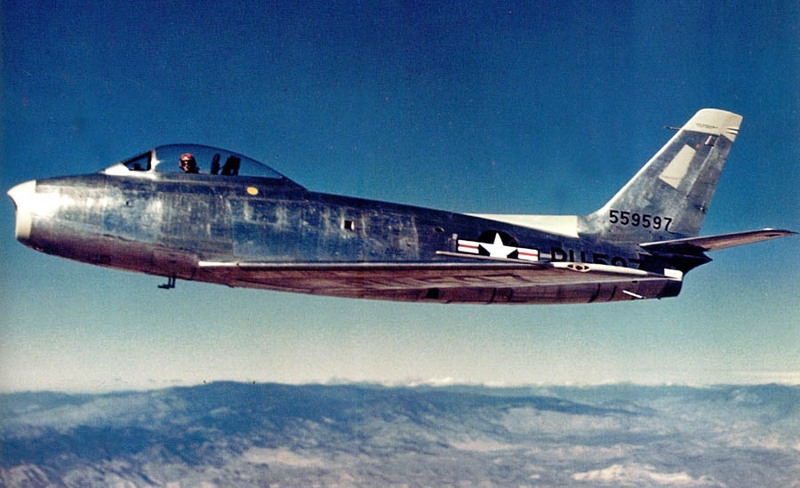 Chief Test Pilot Bob Chilton flew chase in an XP-82 Twin Mustang with a company photographer on board. The duration of the first flight was 1 hour, 18 minutes. —Aces Wild: The Race for Mach 1, by Al Blackburn, Scholarly Resources Inc., Wilmington, Delaware, 1998, at Chapter 5, Pages 144–145. 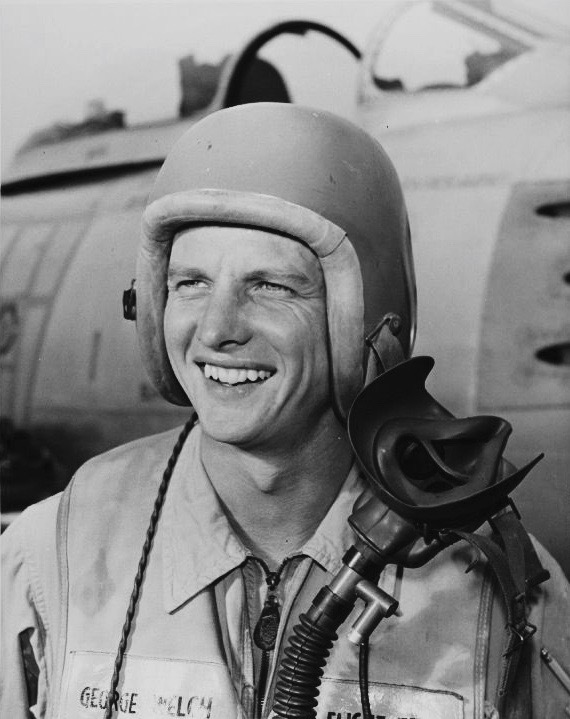 George Welch was the first to report instrument readings that would be referred to as “Mach jump.” It has been argued that George Welch flew the XP-86 beyond Mach 1 during this flight, breaking the “sound barrier” two weeks before Chuck Yeager did with the Bell X-1 rocketplane. 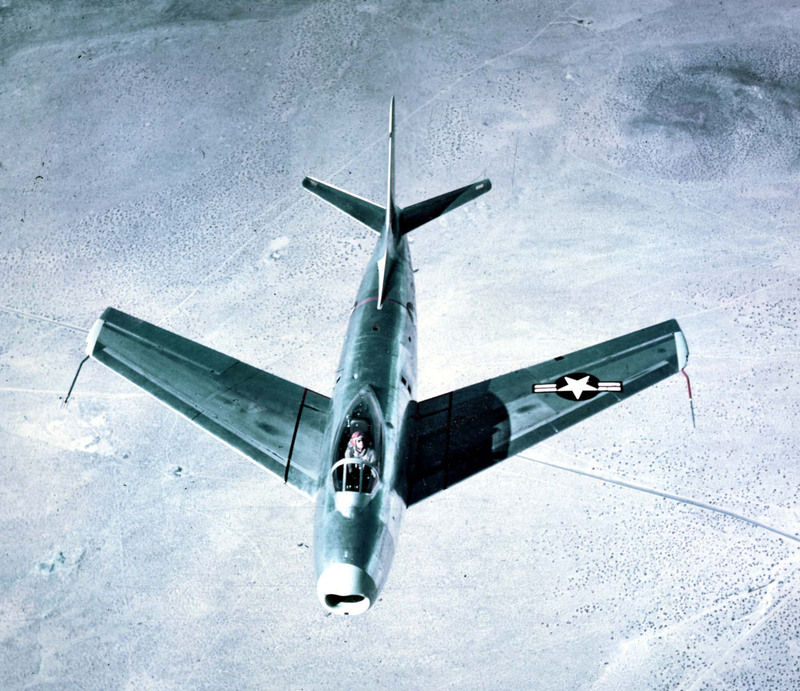 During flight testing, it was firmly established that the XP-86 could reach Mach 1.02–1.04 in a dive, so it is certainly possible that he did so on the Sabre’s first flight. The XP-86 was unlike any airplane before it. It was the first airplane with a swept wing. After analyzing test data from the Messerschmitt Me 262, North American’s engineers designed a wing with a 35° degree sweepback to its leading edge. The wing tapered toward the tips, and its thickness also decreased from the root to the tip. In order to create a very strong but very thin wing, it was built with a two-layered aluminum skin, instead of ribs and spars, with each layer separated by “hat” sections. The wing sweep allowed high speed shock waves to form without stalling the entire wing. The wing also incorporated leading edge “slats” which were airfoil sections that automatically extended below 290 knots, smoothing the air flow over the wing’s upper surface and creating more lift at slow speeds. Above that speed, aerodynamic forces closed the slats, decreasing drag and allowing for higher speeds. Effectively, the wing could change its shape in flight. 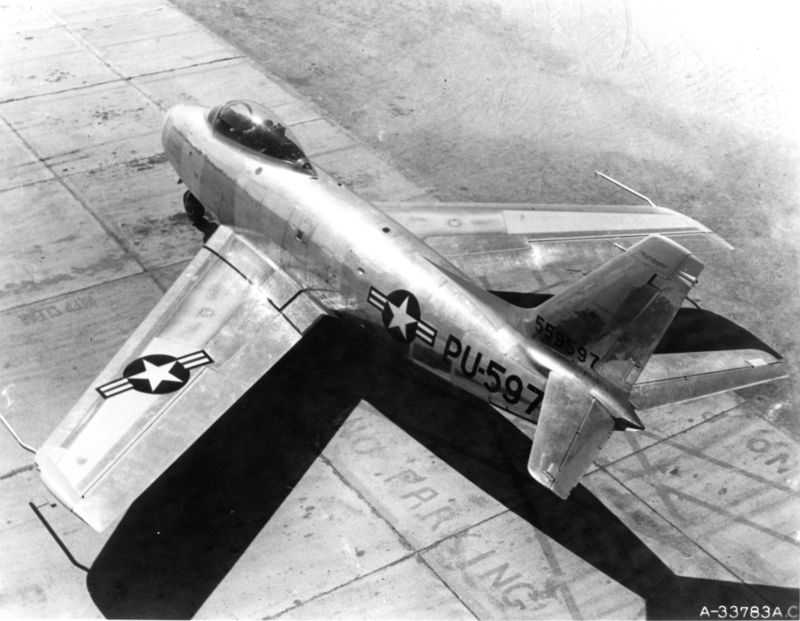 The XP-86 prototypes were 37 feet, 6½ inches (11.443 meters) long with a wingspan of 37 feet, 1–7/16 inches (11.314 meters) and overall height of 14 feet, 9 inches (4.496 meters). The empty weight was 9,730 pounds (4,413.5 kilograms), gross weight, 13,395 pounds (6,075.9 kilograms) and maximum takeoff weight was 16,438 pounds (7,456.2 kilograms). 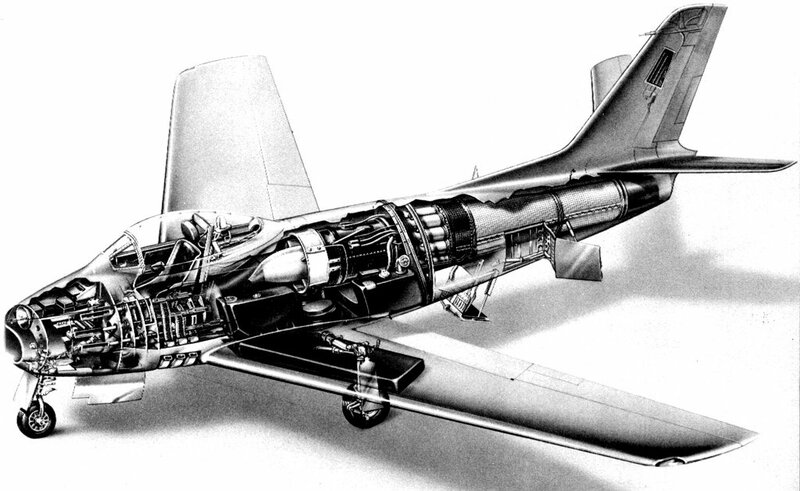 The XP-86 was initially powered by a General Electric-designed, Chevrolet-built J35-C-3 turbojet which produced 4,000 pounds of thrust. This was soon changed to an Allison J35-A-5. Performance testing was conducted with the Allison engine installed. The J35 was a single-spool, axial-flow turbojet engine with an 11-stage compressor and single-stage turbine. The J35-A-5 was rated at 4,000 pounds of thrust (17.79 kilonewtons) at 7,700 r.p.m. (static thrust, Sea Level). The engine was 14 feet, 0.0 inches (4.267 meters) long, 3 feet, 4.0 inches (1.016 meters) in diameter and weighed 2,400 pounds (1,089 kilograms). 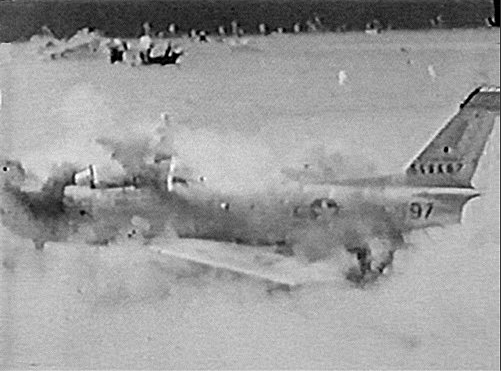 The maximum speed of the XP-86 at Sea Level was 0.787 Mach (599 miles per hour, 964 kilometers per hour), 0.854 Mach (618 miles per hour, 995 kilometers per hour) at 14,000 feet (4,267 meters) and 575 miles per hour (925 kilometers per hour) at 35,000 feet (10,668 meters)—0.875 Mach. The prototype fighter was able to take off at 125 miles per hour (201 kilometers per hour) in just 3,020 feet (920.5 meters) of runway. It could climb to 30,000 feet (9,144 meters) in 12.1 minutes and had a service ceiling of 41,300 feet (12,588 meters). The end of XP-86 45-59597 at Frenchman Flats, 1953. 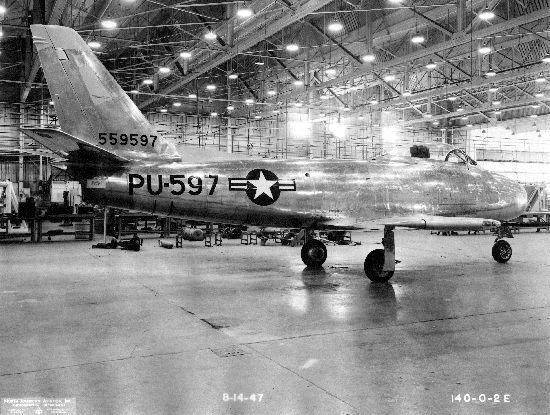 XP-86 45-59597 was expended as a target during nuclear weapons tests. On 25 May 1953, it was 1,850 feet from ground zero of Upshot Knothole Grable. The only part still intact was the engine, which was thrown 500 feet. George Welch was born George Lewis Schwartz, in Wilmington, Delaware, 10 May 1918. His parents changed his surname to Welch, his mother’s maiden name, so that he would not be effected by the anti-German prejudice that was widespread in America following World War I. He studied mechanical engineering at Purdue, and enlisted in the Army Air Corps in 1939. George S. Welch is best remembered as one of the heroes of Pearl Harbor. He was one of only two fighter pilots to get airborne during the Japanese surprise attack on Hawaii, 7 December 1941. Flying a Curtiss P-40B Warhawk, he shot down three Aichi D3A “Val” dive bombers and one Mitsubishi A6M2 Zero fighter. For this action, Lieutenant General H.H. “Hap” Arnold recommended the Medal of Honor, but because Lieutenant Welch had taken off without orders, an officer in his chain of command refused to endorse the nomination. He received the Distinguished Service Cross. During World War II, George Welch flew the Bell P-39 Airacobra and Lockheed P-38 Lightning on 348 combat missions. He had 16 confirmed aerial victories over Japanese airplanes and rose to the rank of Major. Suffering from malaria, George Welch was out of combat, and when North American Aviation approached him to test the new P-51H Mustang, General Arnold authorized his resignation. 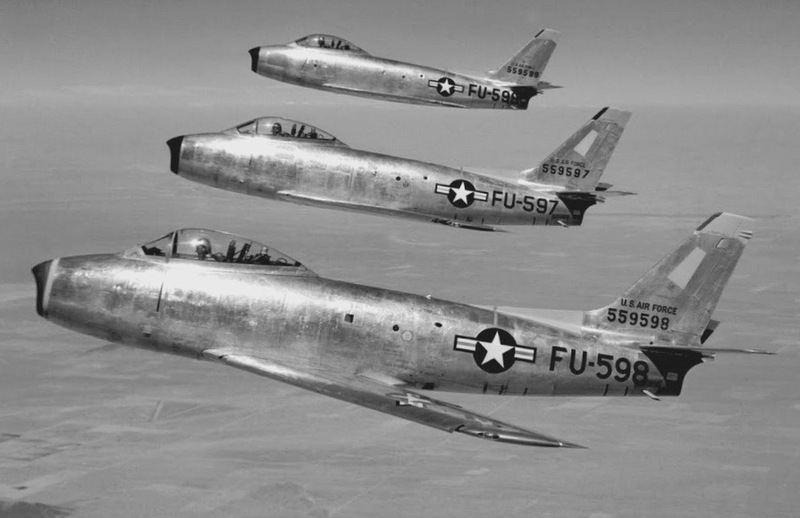 Welch test flew the P-51, FJ-1 Fury, F-86 Sabre and F-100 Super Sabre. He was killed 12 October 1954 when his F-100A Super Sabre came apart in a 7 G pull up from a Mach 1.5 dive. 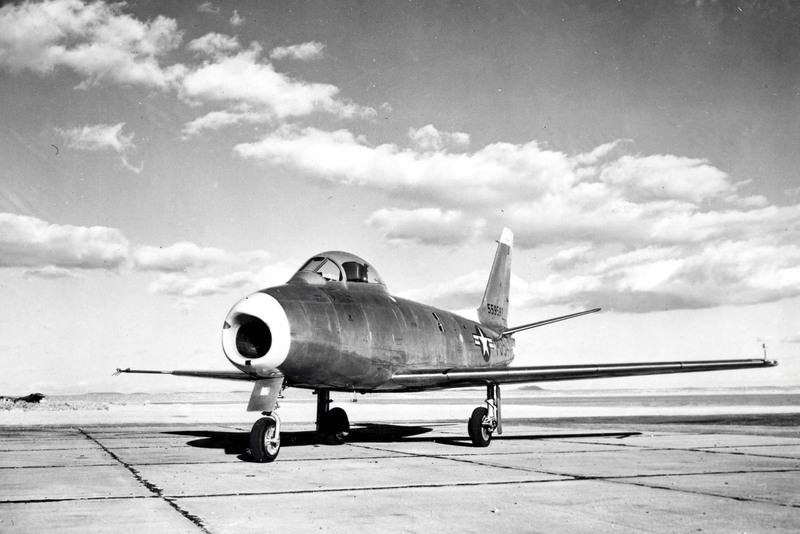 After testing, the North American Aviation XP-86 was approved for production as the F-86A. It became operational in 1949. The first squadron to fly the F-86 held a naming contest and from 78 suggestions, the name “Sabre” was chosen. 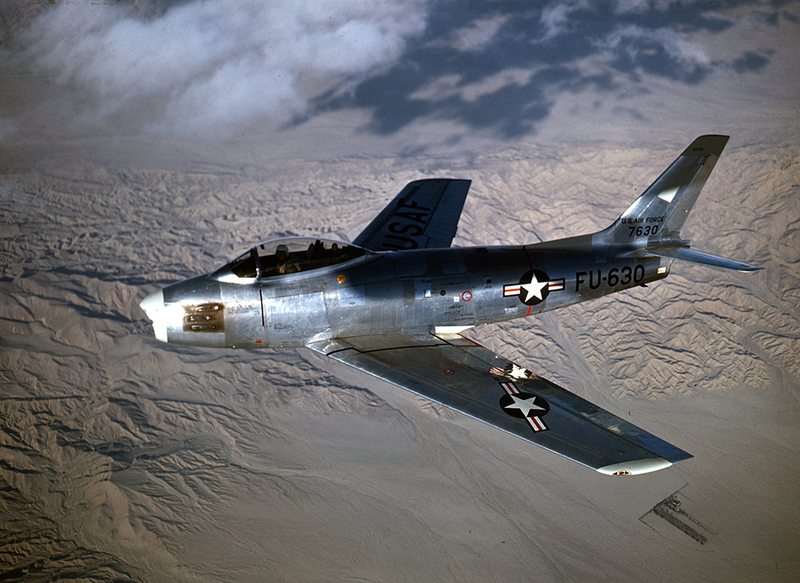 The F-86 Sabre was in production until 1955 at North American’s Inglewood, California, and Cleveland, Ohio, plants. It was also built under license by Canadair, Ltd., Sain-Laurent, Quebec, Canada; the Commonwealth Aircraft Corporation, Port Melbourne, Victoria, Australia; and Mitsubishi Heavy Industries at Nagoya, Aichi Prefecture, Japan. A total of 9,860 Sabres were built. They served with the United States Air Force until 1970. 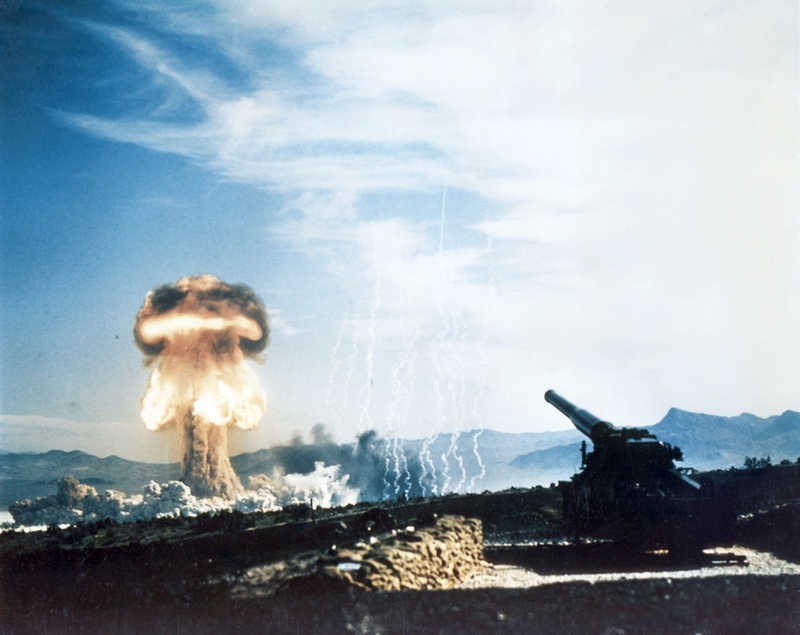 XP-86 45-59597 was expended in nuclear weapons tests, Operation Snapper Easy and Snapper Fox, at the Nevada Test Site, Frenchman’s Flat, Nevada, in May 1952. The second and third prototypes, 45-59598 and 45-59599, met similar fates.